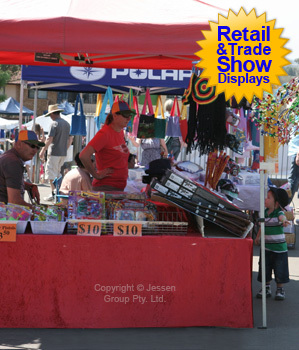 Economy Table Cover fits a 2.44m Table in Multiple Colours. This table cover fits on (3) sides of a table, providing an economy tablecloth for use in a number of locations. The trade show tablecloths are perfect for locations where employees will be seated, with the open side providing plenty of legroom, as well as access to under table storage. 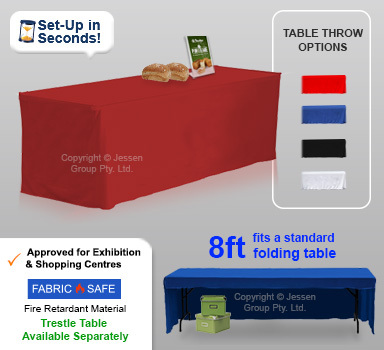 The table cover has different colours to pick from to allow your business to get the most well-suited table throw for your company. These trade show tablecloths have red, white, black, and blue options. The table cover is made out of polyester fabric & can be reused for multiple years. This economy style table cover will fit 2438 x 762 x 737mm standard sized tables with ease. 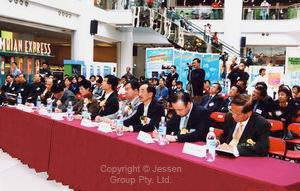 The tablecloth can be found at different businesses, such as retail stores, exhibition halls, convention centres, trade shows, and universities. The flame retardant materials ensures a safe throw that is a great addition. The trade show tablecloths are sewn to be fitted over the table for a professional look in any environment. The combination of a high quality fabric at a low price makes this an easy purchase to help your business maintain a stylish look with customers! These trade show tablecloths have 3 sides, an economy throw that provide easy access to storage space and legroom for seated employees. The multiple colours ensure your business can choose one that best fits your decor. The main shopping page is your best bet online for hundreds of quality display products at low prices. Same day despatch is offered from Slimline Warehouse to everywhere nationwide, including Cairns, Brisbane, Perth, Adelaide, Sydney, & Melbourne. Order your products by 1pm EST to receive same day despatch on most in stock items. These fabric displays are fire retardant and machine washable. See how to care for your fabric display.